PrimaLoft develops its first insulation made entirely from recycled PET bottles with no compromise on performance. The outdoor industry is looking more and more for sustainable solutions. The PrimaLoft development team has strived to create an insulation made exclusively from post-consumer recycled (PCR) content, that fully meets all PrimaLoft performance standards, in a committed effort to pursue Relentlessly Responsible product advancements. Following much development, using various production processes and tests, the material experts at PrimaLoft have now achieved a breakthrough. At this year’s OutDoor Show in Friedrichshafen (Hall A1/500), the insulation materials and functional textiles specialist will present the results of intensive research, introducing new PrimaLoft® Silver Insulation – 100% PCR and PrimaLoft® Black Insulation – 100% PCR, as well as PrimaLoft® Gold Insulation Luxe™. 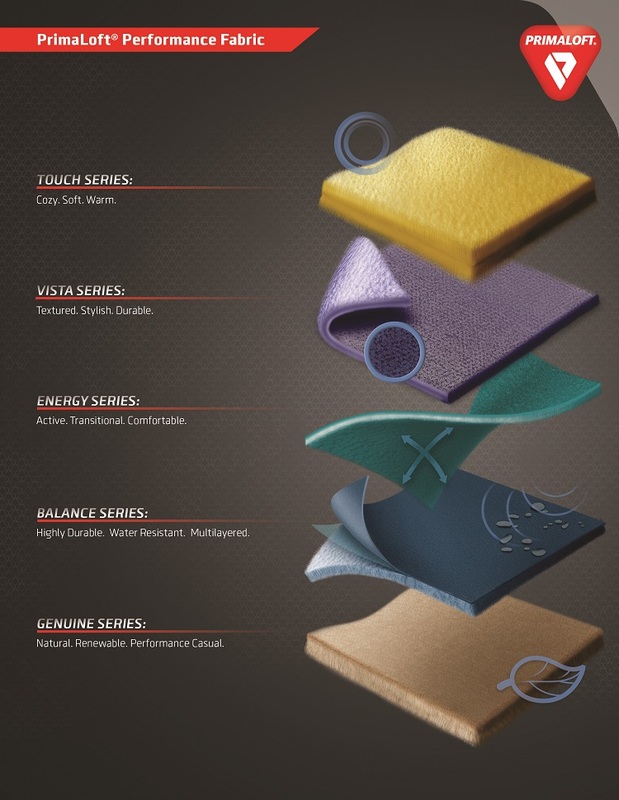 PrimaLoft, Inc., the world leader in providing comfort solutions with high-performance insulation, fabrics and yarns, today announced it has developed an enhanced collection of Performance Fabrics and Yarn technologies, resulting in more year-round product applications and elevated consumer comfort. Available to brand partners immediately, designers now have clearer choices and increased resources to create unique, high-performing garments with the perfect balance of comfort and performance. Published by Mountainblog on 01/16/2017 . PrimaLoft® Insulation ThermoPlume is not only the highest performing blowable synthetic insulation, but also fills a growing demand for innovation from designers, brands and consumers looking to move away from down and improving the performance. Providing a blowable, high-performing synthetic that acts as a true replacement for down allows brands to replicate the design aesthetic and the manufacturing process of a down garment. The Interview Video with Jochen Lagemann (Managing Director Primaloft Europe & Asia) describes the technology perfectly and shows how it looks in the inside. It is the true alternative to down. This innovation helps to simplify the supply chain, combat the volatility of down prices and provides piece of mind when it comes to the ethical sourcing of materials. Brands who offer that technology for FW17 are: Montane, Mountain Force, Ferrino, Ciesse Outdoor, Crazy Idea, Sun Valley, Geox, Hetrego, Slam and others in the outdoor and fashion industry. 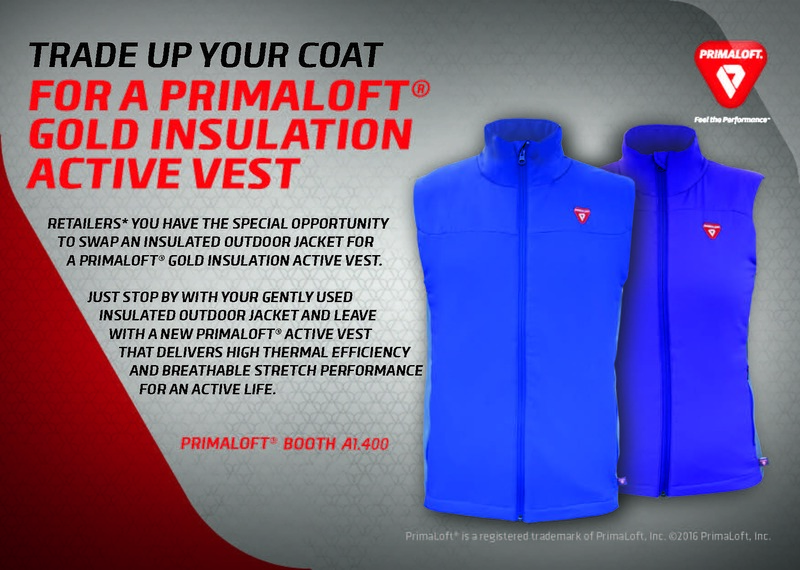 PrimaLoft® Insulation Active: Breathable & Warm. Published by Mountainblog on . 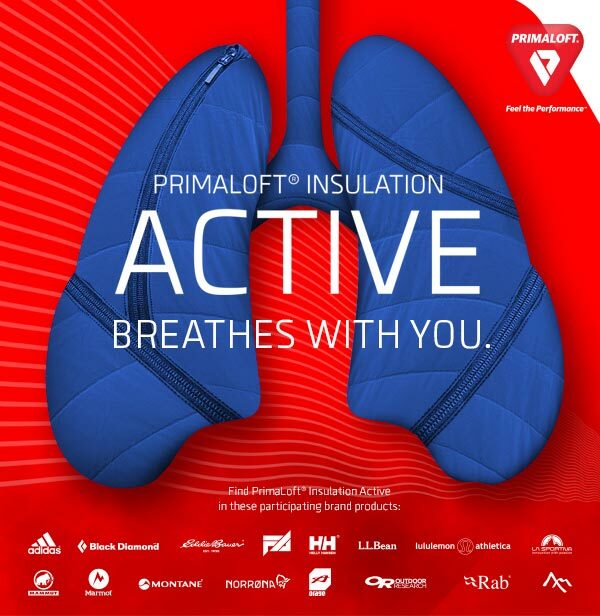 PrimaLoft® Insulation Active breathes harder or softer whenever you do. This innovative insulation technology combines high thermal efficiency with superior breathability all while maintaining 92% of its warmth when wet. The result is insulation that breaks free from the confines of non-breathable fabrics with softness, packability, water resistance and bidirectional stretch to become the most versatile insulation in your collection. Feel the new standard in active breathability at our ISPO Retailer booth A2 304. Published by Mountainblog on 12/09/2016 . Jochen Lagemann (Managing Director Primaloft Europe & Asia) presents the newest Technology from PrimaLoft: PrimaLoft Insulation Thermoplume. It comes closet yet to mimicking the structure of down to provide an incredibly lightweight and warm insulation package, yet with the advantage of performing even in wet or damp conditions. Lottie Watkinson (Montane Design & Development Manager) presents the Icarus and Phoenix, two FW 2017.18 jackets that use the PrimaLoft Insulation Thermoplume to guarantee the best performance to Montane custumers. Published by Mountainblog on 12/08/2016 . Secondary Use (s): Alpine Climbing / Mountaineering / Ski Touring. – One concealed zipped chest pocket. PERTEX ® QUANTUM fabric outer, which is windproof and water resistant. properties of down with the fast drying warmth of traditional PrimaLoft® insulation. Lined with PEAQ Synthetic ECO fabric which is supremely comfortable next to the skin, highly breathable and fast drying. Designed as a very lightweight, simple, packable insulation jacket which is perfect for layering or can be worn standalone. Micro baffle construction allows for close body fit and dynamic movement. Articulated arms for high reach movement, tailored specifically to prevent hem lift. 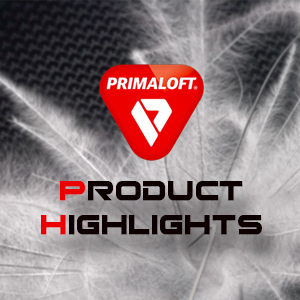 Filled with premium PrimaLoft® ThermoPlume synthetic fill, a special blend of PrimaLoft® proprietary fibres that mimics the loft and fill power properties of down with the fast drying warmth of traditional PrimaLoft® insulation. 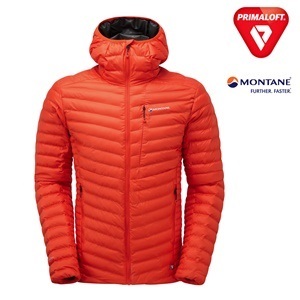 The PrimaLoft® ThermoPlume® in this jacket is equivalent to 550+ fill power down. Published by Mountainblog on 06/24/2016 . Dealers are encouraged to look ahead to winter and support a great cause by exchanging their lightly worn jackets or coats for a New PrimaLoft® Gold Insulation Active Vest. Published by Mountainblog on 05/04/2016 . 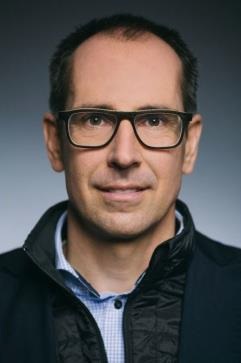 PrimaLoft, Inc., the world leader in providing comfort solutions with high-performance insulations and fabrics, recently promoted Chris Humphris to Director of Sales Americas. 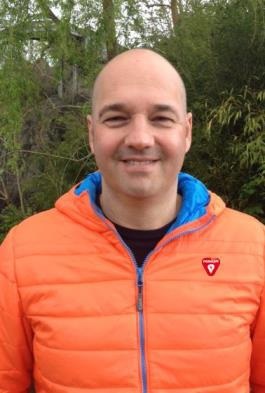 Humphris has worked at PrimaLoft in the role of European Sales Manager since 2014 and more than a decade as PrimaLoft sales agent for UK and Scandinavia. Humphris has over 15 years of selling experience in fabrics and insulation. As a truly passionate textile specialist and outdoor athlete, his experience covers outdoor performance apparel, as well as fashion. Chris and his family will be relocating to the US over the next several months. The position is based at the global headquarters in Latham (New York) and will report to Mike Joyce (CEO). 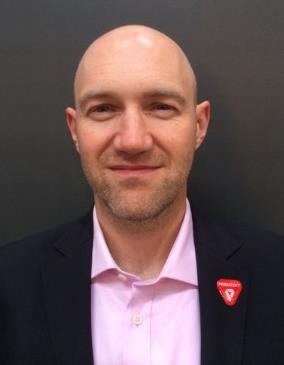 Stefan Brandt will be promoted to European Sales Manager, based in the European Headquarters in Taufkirchen, Germany, near Munich, reporting to Jochen Lagemann (Managing Director Europe & Asia). Brandt has served as Territory Sales Manager for Austria, Switzerland and Southern Germany for one year and will continue this commitment. 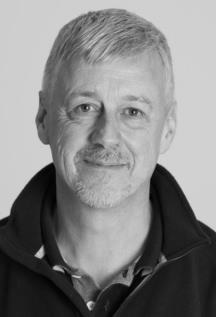 Brandt, a passionate outdoor and sports enthusiast, has 20 years of sales and marketing experience in functional textiles and ingredient branding with companies like Sympatex, Gore, Sioen, Bayer in technical, medical, automotive, sports and outdoor markets. Published by Mountainblog on 03/10/2016 . 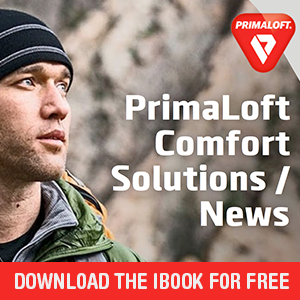 PrimaLoft, Inc., the world leader in providing comfort solutions with high-performance insulations and fabrics, has become the first ingredient brand to join the European Outdoor Group (EOG) as a full member. The new partnership was decided by the EOG at the annual assembly meeting, held prior to the ISPO trade show in January 2016. Following the decision in 2014 to include retailers as EOG members, the board proposed a further expansion to incorporate product ingredient brands, subject to eligibility criteria. PrimaLoft is already a long-standing member of the OIA (American Outdoor Industry Association) and will bring a valuable contribution to the EOG going forward. PrimaLoft joins the EOG on an equal status, and with the same conditions, as existing EOG members. Published by Mountainblog on 02/11/2016 . ISPO 2016, Jochen Lagemann (Managing Director PrimaLoft® Europe and Asia) and Christoph Centmayer (Marketing Communication Manager) present the Bergans Interpretation of PrimaLoft® Gold Insulation Active.